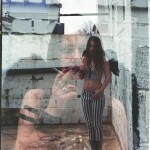 Last week I published a set of photos that model Sonia Coonen and I created with digital camera. This set of photos are the analog images that were made. The film used was Kodak Portra 400 at ISO400. 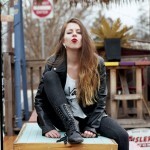 The camera used was a Mamiya RB67 Pro-SD and the images were shot with a 90mm and 190mm pair of lenses. There truly is nothing that matches the beauty of real film. The process, the chemistry, the anticipation, and the image. With digital I found that I began to shoot whatever, whenever, without any consequence for failure. With my return to film I noticed a shift in mentality – imagining the final image before even raising the camera, measuring my breath while handholding a capture, checking and rechecking every setting before unlocking the shutter release. The breath of relief once the shutter has been released and the rush of holding up your newly developed negatives to light for the first time. If you ever come across a block in creativity put down your digital and invest in what shooting film teaches you!  Click here and follow me at J.Yi Photography on Facebook!